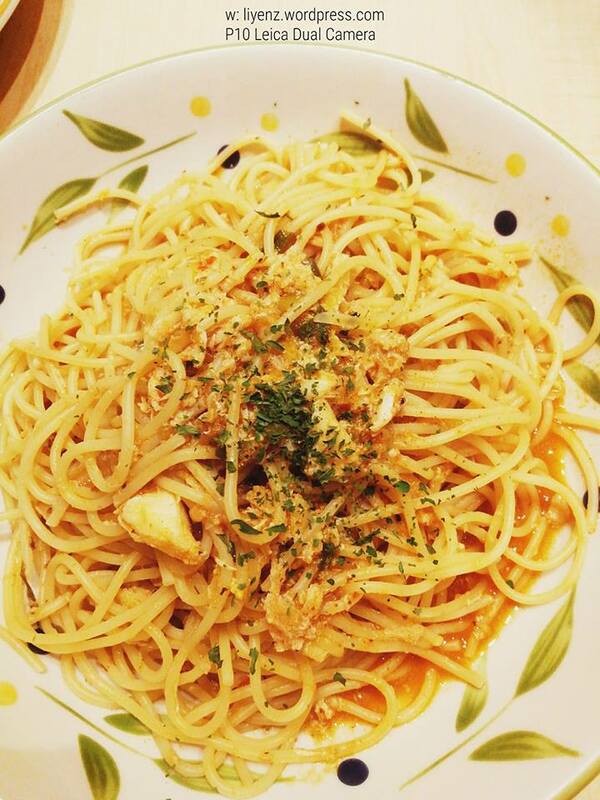 It is famous with its tagline, “Volcano Ramen”. 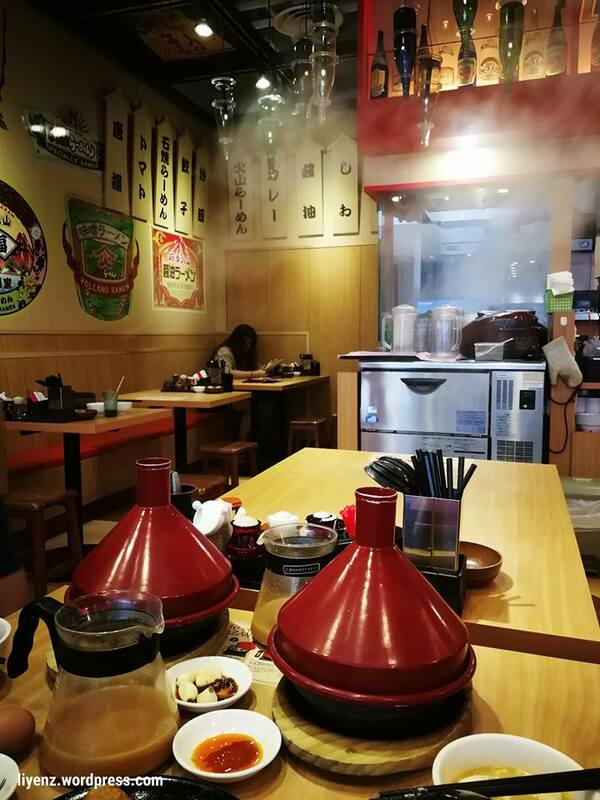 I think this is one of the best ramen restaurant in Singapore, at least, I saw a few food bloggers have been writing about it and shared their experience having the “volcano” ramen. For the first time, I tried it at JEM, Jurong East, Singapore’s branch with my colleagues during the lunch time. The lunch crowd during my visit was just normal, no waiting time was required and the waitress was readily to serve us. 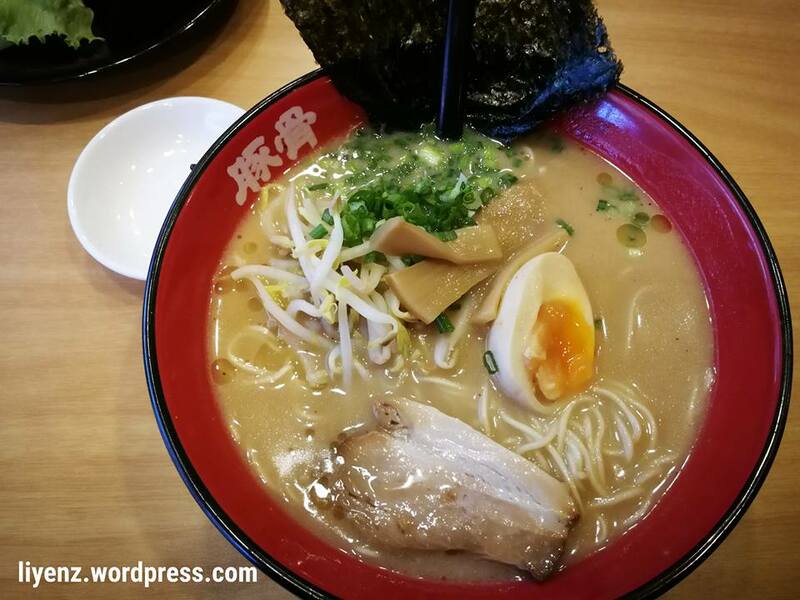 Their menu has quite extensive selection of ramen with the normal Shio and Shoyu are in the list and other specialty ramen to be chosen if you want to try something different especially the advertised “volcano” ramen. Myself, for the first time visit, I go for its original recipe, I ordered the Shoyu based soup with ramen, char siew, pickles, half of the onsen egg and beansprouts. 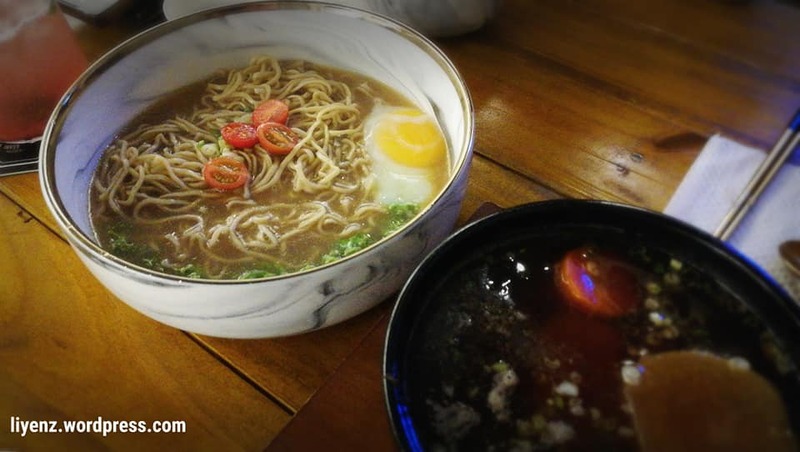 I really have a question about the ramen sold in any restaurants in Singapore. How come if I choose to order a charshu ramen, it always just come with a piece of meat only? It is in a rare case it will have more than one unless, we choose to have more meat. 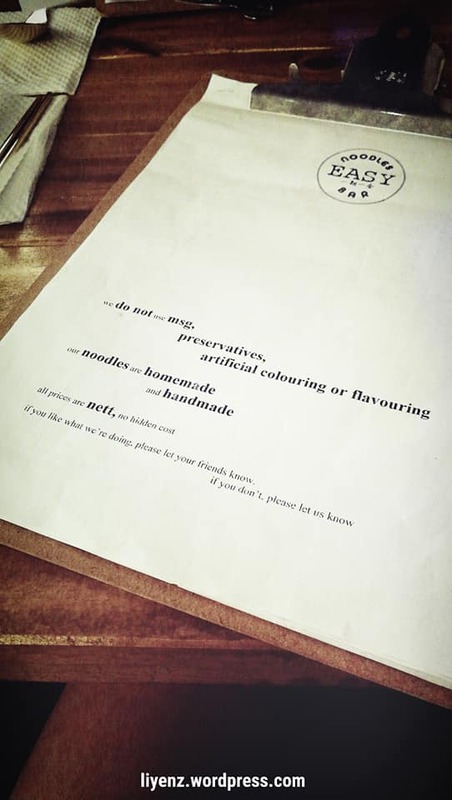 I wanted to say it is a basic ramen which we can find it anywhere, I mean the noodle itself is really basic, no thick no thin, and definitely it does not look like handmade. The level of springiness of the noodle I cannot really remember. The pork broth is thick, rich and slightly salty to my taste but I think it is just right for anyone else. Just with a piece of meat, I did not feel full and have to almost finish up the soup to make my stomach. It is not a good idea at all. 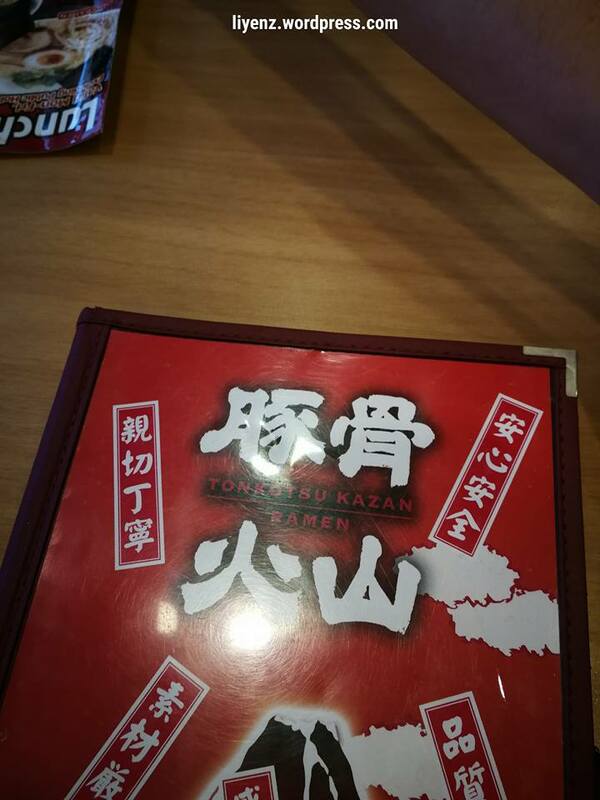 For other colleagues who ordered the Ishiyaki Ramen or Hot Stone Roast Ramen which is the “volcano” ramen, there is a set of instructions to follow before start eating the ramen. While waiting for their noodle to be done, the table was served with free flow hard boiled eggs, just similar to another ramen restaurant I visited before. I, myself took one. This is the scene of preparing the “volcano” ramen where the free flow broth is served too. 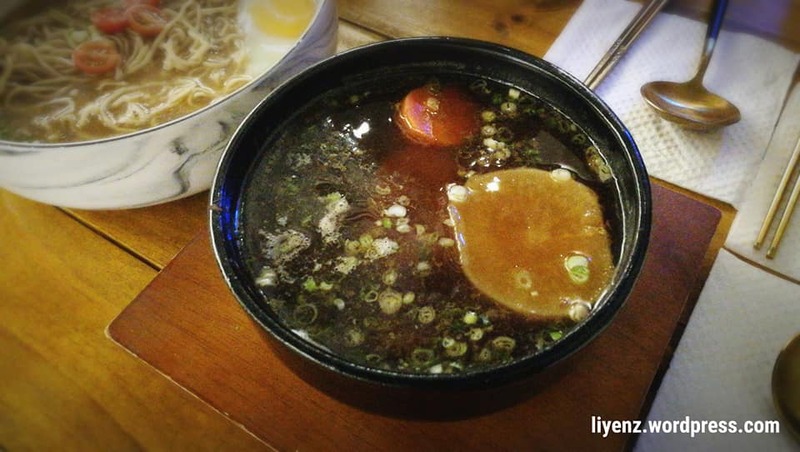 The waitress poured the broth on to the bowl of ramen before covered it with a cone shaped lid. While the hot stone is hot, it will “cook” the ramen. It has a timer for them to cook until it is best served and the bowl of noodle is good to serve for two persons unless you are a very big eater! 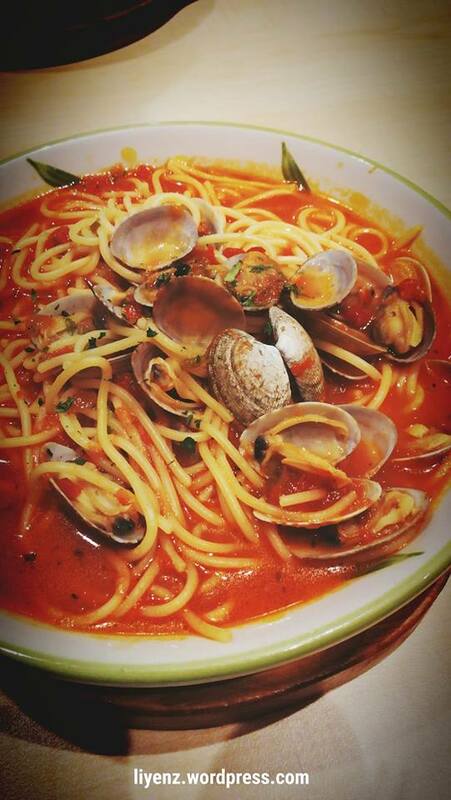 Address: JEM, 50 Jurong Gateway Rd, #03 – 09, Singapore 608549. It has been a while since my last food review. 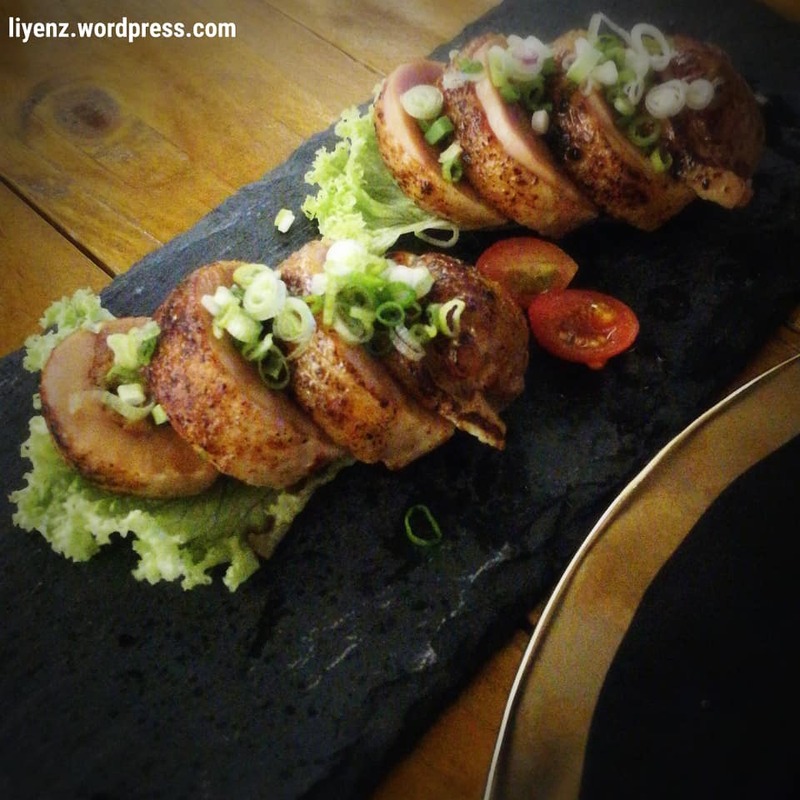 I think it needs some balance between food and travel blogs and my learning journey in Python. Of course, I do not want to make my readers feel boring about programming language and miss out the good food in Singapore! 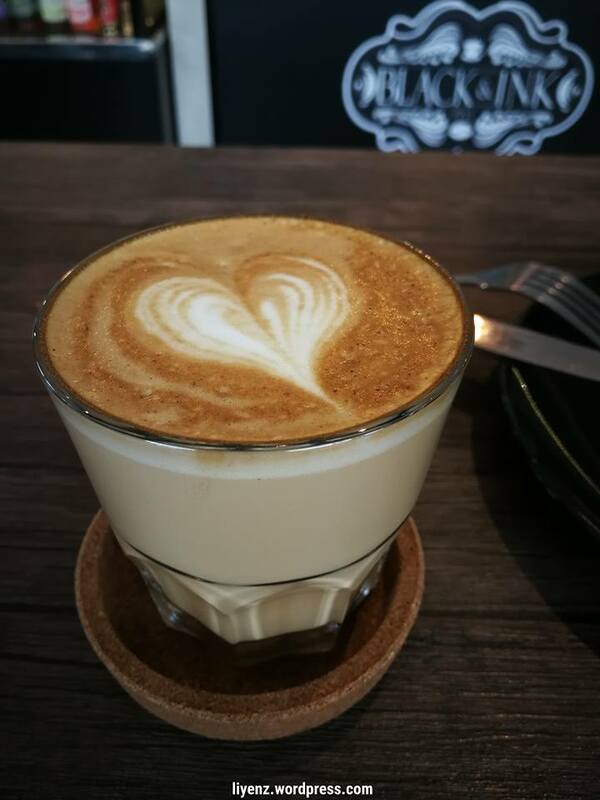 A throwback event back in September 2018 when I received a voucher from the On Coffee Makers which has been promoting coffee culture in Singapore over the weeks through the Facebook Page. I made a random choice out of the list given and I picked Black Ink because it is at the East side. It is convenient for me to travel nearby than far for a cup of coffee. And, this was a free coffee! It took me a while to walk from the Bedok MRT station to the cafe. If you know where this cafe is located, then you will not ask why I chose to walk. 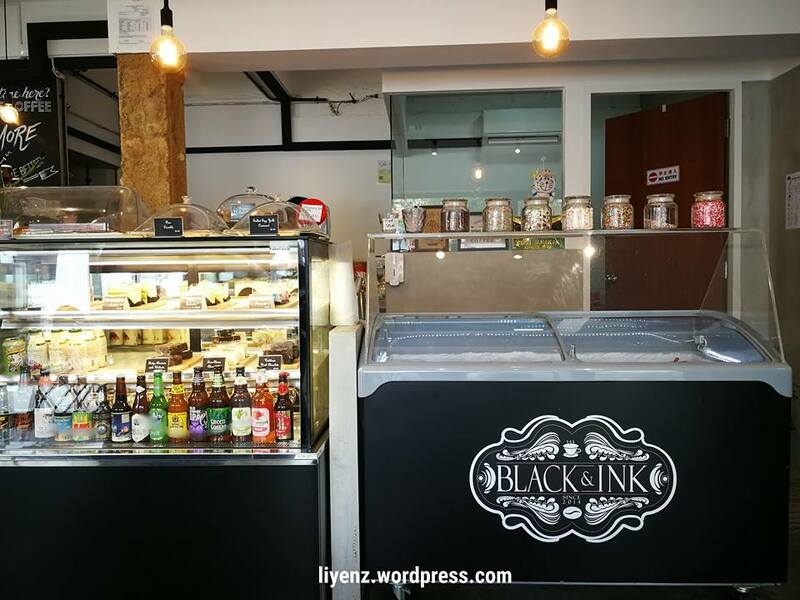 It is located at Swan Lake Ave, inside the Opera Estate, 2 bus stops away from Bedok Interchange. I think there is no bus stop inside this area. Most people here are staying in the terrace houses. I was served by a girl at the counter when I saw her the coupon via my Facebook messenger. She did not aware about the coupon and asked me to wait for her supervisor. 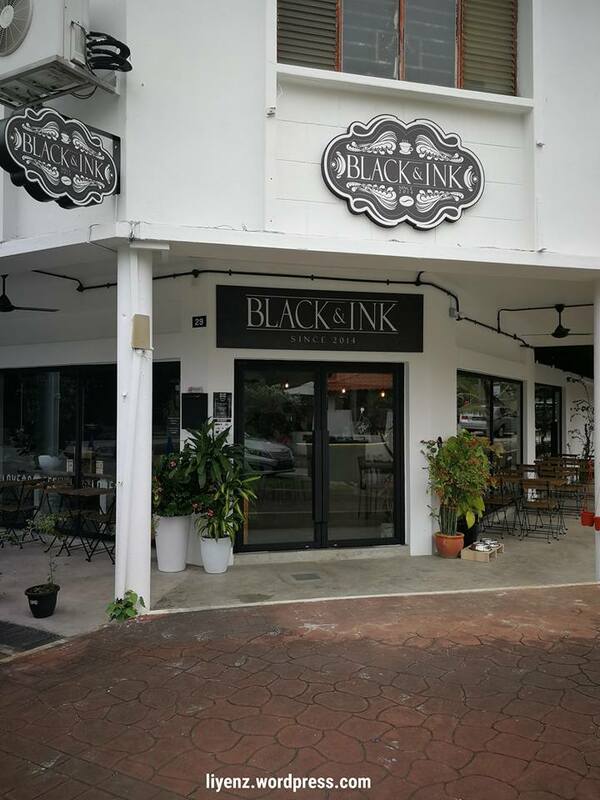 The owner of the cafe came and he could not assist further as the coupon was not yet allowed to be used at his cafe even though, it has stated its start date. He did not hesitate to honor the voucher for me and asked what I would like to have. The coupon was meant for coffee only and I chose my favourite latte. If you want to change to use soy milk, additional cost is applied. And ya, soy milk is cheaper than milk I thought. I do not want to look cheapskate so I decided to order the butter croissant from the menu. They adopted the eatsy mobile application to allow customers to order food from their mobile phone and make payment cashlessly and they were having promotion or cash rebate at that time. So, why not! Here you go, my latte and croissant were served shortly after that. 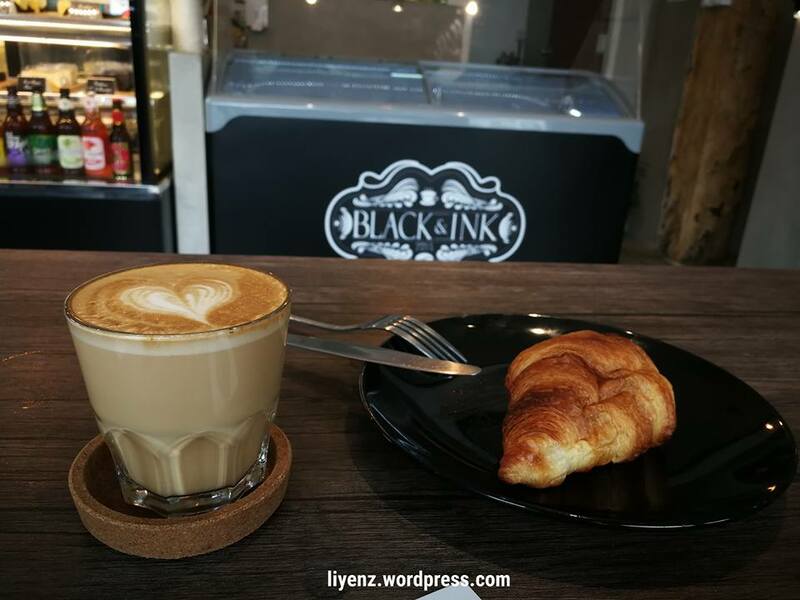 The croissant is normal but crispy, flakes all over the plate, and the latte tastes just right, like any other specialty cafe. 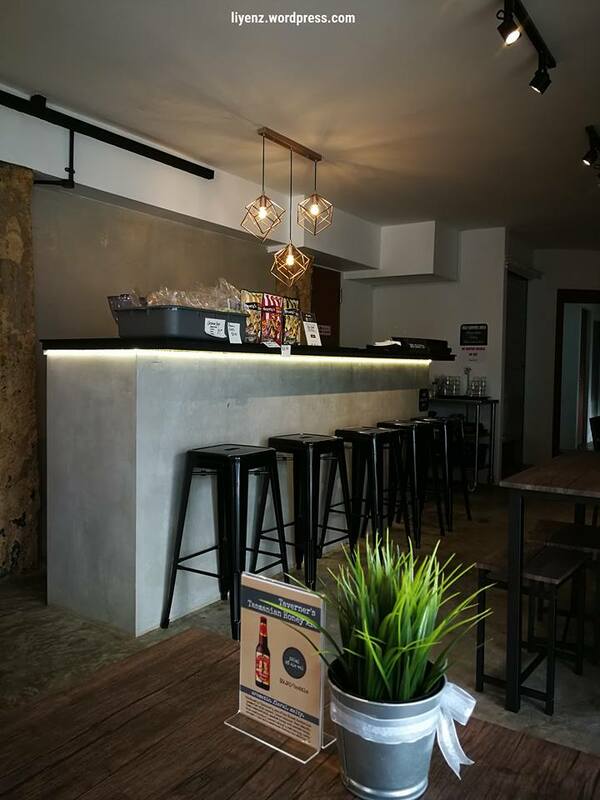 However, the atmosphere there is good, it is quite quiet neighbourhood and the cafe is not crowded even I went there during weekend. It is a good place for study and small gathering. I think quite a number of neighbours visiting this cafe during the weekend as the friendly owner talks with them, just like they are often meeting up there. 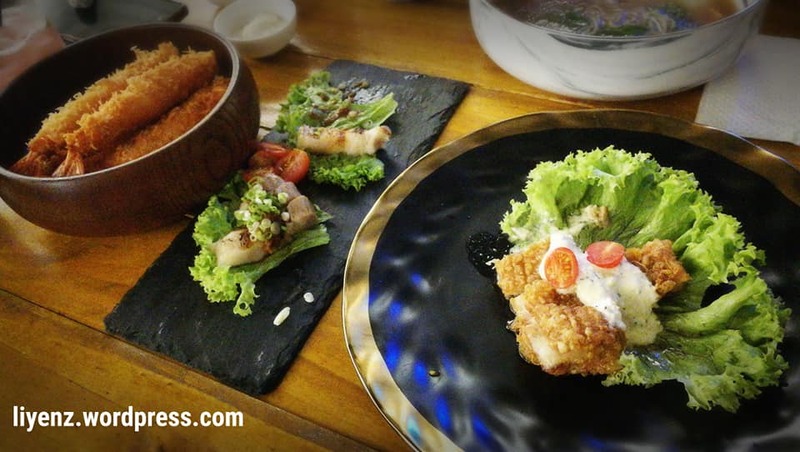 I did not try other food from this cafe and reviews from the Internet looks good. Probably, I will consider to try here again next time when I want to organize a little study group. Address: 29 Swan Lake Ave, Singapore 455718. 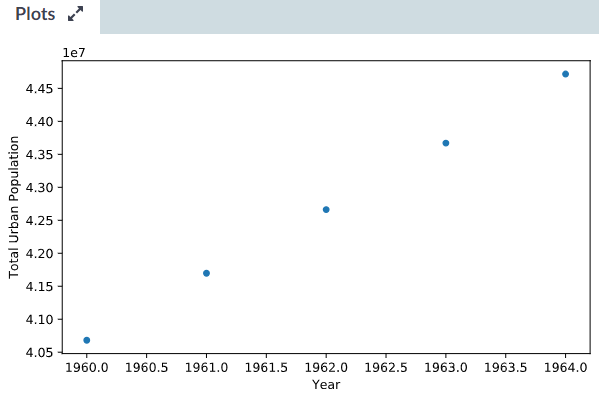 Next, the tutorial uses the Pandas read_csv() function and chunksize argument to read by chunk of the same dataset, World Bank World Development Indicator. Another way to read data too large to store in memory in chunks is to read the file in as DataFrames of a certain length (using the chunksize). First and foremost, import the pandas’ package, then use the .read_csv() function which creates an interable reader object. Then, it can use next() method on it to print the value. Refer below for the sample code. The output of the above code which processes the data by chunk size of 10. The next 10 records will be from index 10 to 19. Next, the tutorials require to create another DataFrame composed of only the rows from a specific country. Then, zip together two of the columns from the new DataFrame, ‘Total Population’ and ‘Urban population (% of total)’. Finally, create a list of tuples from the zip object, where each tuple is composed of a value from each of the two columns mentioned. It requires to use list comprehension to create a new DataFrame. The values in this new DataFrame column is ‘Total Urban Population’, therefore, the product of the first and second element in each tuple. Furthermore, because the 2nd element is a percentage, it needs to divide the entire result by 100, or alternatively, multiply it by 0.01. 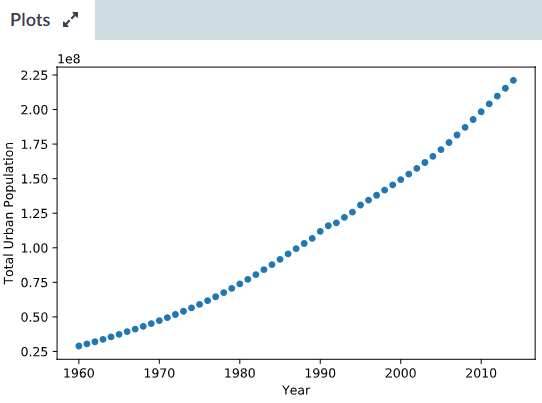 Then, using the Matplotlib’s package, plot the scatter plot with new column ‘Total Urban Population’ and ‘Year’. It is quite a lot of stuff combined together up to this point. See the code and result of the plot shown below. I realized that the ‘Year’ is not in integer format. I printed out the value of the column ‘Year’ and it looked perfectly fine. Do you know what is wrong with my code above? This time, you will aggregate the results over all the DataFrame chunks in the dataset. This basically means you will be processing the entire dataset now. This is neat because you’re going to be able to process the entire large dataset by just working on smaller pieces of it! Below sample code consists of some of DataCamp’s code, so some variable names have changed to use their variable names. Here, it requires to append the DataFrame chunk into a variable called ‘data’ and plot the scatter plot. I tried to compare the lines of codes used by DataCamp and mine. Both of the df_pop_ceb look the same, so how come the scatter plots show differently. I still cannot figure out why my scatter plot is showing ‘Year’ with decimal point. The scatter plot of the country code ‘ARB’ is shown below. Use of user defined functions with parameters. 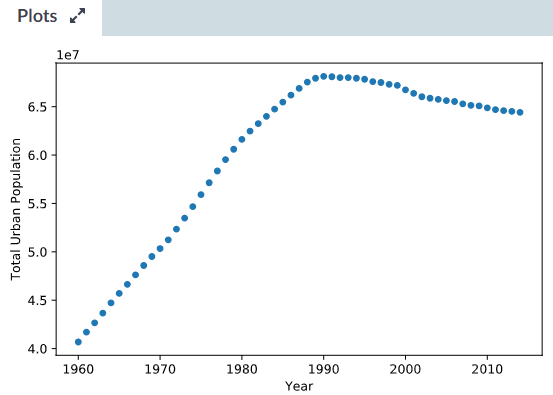 Continuous from the same dataset from the World Bank World Development Indicator. Before this, I wrote about using the iterators to load data chunk by chunk and then, using the generators to load data or file line by line. Generators work for streaming data where the data is written line by line from time to time. Generators able to read and process the data until it reaches end of file or no lines to process. Sometimes, data sources can be so large in size that storing the entire dataset in memory becomes too resource-intensive. In this exercise from DataCamp’s tutorials, I process the first 1000 rows of a file line by line, to create a dictionary of the counts of how many times each country appears in a column in the dataset. Below is some details about the dataset and how to import the dataset. binds the csv file ‘datacamp.csv’ as datacamp in the context manager. Here, the with statement is the context manager, and its purpose is to ensure that resources are efficiently allocated when opening a connection to a file. The sample code below uses the .readline() method to read a line from the file object. It then, can split the line into a list using .split() method. Generators allow users to lazily evaluate data. This concept of lazy evaluation is useful when you have to deal with very large datasets because it lets you generate values in an efficient manner by yielding only chunks of data at a time instead of the whole thing at once. The tutorial requires to define a generator function read_large_file()that produces a generator object which yields a single line from a file each time next() is called on it. """A generator function to read a large file lazily.""" Obviously, it shows more data than before this because it does not limit to 1000 rows. Context manager, open a file connection. Use generator function to load data. Use a dictionary to store result. In the DataCamp’s tutorials, Python Data Science Toolbox (Part 2), it combines user defined functions, iterators, list comprehensions and generators to wrangle and extract meaningful information from the real-world case study. It is going to use World Bank’s dataset. The tutorials will use all which I have learned recently to work around with this dataset. The zip() function to combine two lists into a zip object and convert it into a dictionary. Before I share the sample code, let me share again what the zip() function does. It allows us to stitch together any arbitrary number of iterables. In other words, it is zipping them together to create a zip object which is an iterator of tuple. Next, the tutorial wants us to create an user defined function with two parameters. I can re-use the above code and add an user defined function and call it with passing two arguments, feature_names and row_vals. the keys and list2 provides the values.""" It should give the same result when run the codes. Next, tutorial requires me to use list comprehension. It requires to turn a bunch of lists into a list of dictionaries with the help of a list comprehension, where the keys are the header names and the values are the row entries. Create a list comprehension that generates a dictionary using lists2dict() for each sublist in row_lists. The keys are from the feature_names list and the values are the row entries in row_lists. Use sublist as your iterator variable and assign the resulting list of dictionaries to list_of_dicts. Check your call of lists2dict(). Did you correctly specify the second argument? Expected sublist, but got row_lists. The above code is really taking my time to find out what I should code and why it did not get a right code. That did not stop me from continuing my tutorial. Up to here, this case study I did a zip() function, put it into an user defined function and used the new created function in list comprehensions to generate a list of dictionaries. zip() function combines the lists into a zip object. Use user defined function in list comprehension. Convert list comprehension into a DataFrame.